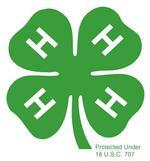 For more information about a club near you call the Cooperative Extension 4-H Office at (530) 822-7515. Contact the Club Leader regarding what projects they will be offering this year. Most clubs begin to hold their first meetings in September.